ARRA News Service: U.S. 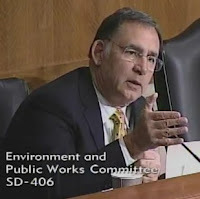 Senator John Boozman (R-AR) questions General Services Administration about the waste, fraud and abuse at the agency that was brought to light by the taxpayer-financed junkets scandal. Sen. Boozman, seen by many as a gentle giant used his persuasive nature in his questioning at this hearing. The responses by the Inspector General Hon. Brian D. Miller and Acting GSA Director Dan Tangherlini are insightful into this debacle by the General Services Administration. Tags: Senate Boozman, Arkansas, Government Oversight, GSA Scandal To share or post to your site, click on "Post Link". Please mention / link to the ARRA News Service. Thanks! by PrisonFellowshipUSA:Chuck Colson is remembered in this video that follows him from Watergate criminal to minister to prisoners. For more on Chuck, go to http://www.chuckcolson.org. Tags: Chuck Colson, Charles Colson, Charles W Colson, tribute, RIP, Prison Fellowship, BreakPoint, Colson Center, Nixon administration, Justice Fellowship, Christian Worldview To share or post to your site, click on "Post Link". Please mention / link to the ARRA News Service. Thanks! Bill Smith, Editor: Over 2.66 years ago, I addressed the jury trial conviction of former Louisiana Democrat Representative William J. Jefferson. He was found guilty 11 Times. The jury's decision has now confirmed what the voters in Louisiana knew in their gut at the last election when they ousted indicted ten term (20 years) Democratic Rep. William J. Jefferson. Today, the jury found Jefferson guilty, guilty, guilty, guilty guilty, guilty, guilty guilty, guilty, guilty, guilty! The voters of Louisiana had tolerated Jefferson far too long as their congressman and those of us "North of the border" in Arkansas appreciated the Louisiana voters replacing him even before today's jury decision. After five days of deliberation, the jury of eight women and four men decided that Jefferson was indeed a criminal and found him guilty of 11 public-corruption charges, including bribery, money laundering and racketeering. . . . If this had been a some local drug induced criminal, they would have been sentenced on their way to the slammer, but the feds have more work to do and evidently, sentencing a former congressman takes a little longer. . . . The charges on which Jefferson was convicted could carry up to 150 years in prison, but federal sentencing guidelines make that unlikely. Prosecutors indicated that Jefferson could be sentenced to more than 20 years in prison, but the Jefferson's defense team will seek a lighter penalty. A former U.S. congressman who is guilty of 11 counts of public-corruption charges, including bribery, money laundering and racketeering while a congressman seems to me to deserve at least a minimum of 22 years in prison. . . .
Well, justice did not follow my suggestion (more later). Instead, Mr. Jefferson was only sentenced to 13-year sentence on bribery and public corruption charges. Then he was allowed to remain free (being a former congressman has its privileges), under electronic monitor, while he appealed his convictions. Well now nearly 3 years later, Judge T.S. Ellis, who sentenced Jefferson has apparently had enough. The 4th U.S. Circuit Court of Appeals unanimously rejected his attorneys' request for a new trial last month, and he is headed to the slammer. U.S. Attorney Mark Lytle, speaking in Ellis' courtroom this morning, said that when a three-judge Appellate panel for the 4th U.S. Circuit Court of Appeals unanimously rejected his attorneys' request for a new trial last month, it became clear that he isn't likely to prevail in any future appeal. His attorneys have decided not to appeal the March 26 ruling directly to the full 4th Circuit Court of Appeals and are now expected to take their challenge directly to the U.S. Supreme Court. They have until late June to file their appeal, and the High Court, which takes a tiny percentage of requested cases, . . . But where do you house a convicted former Representative? Well everyone is seeking a more comfortable location for this despicable criminal. As detailed in the article: "Jefferson's lawyer, agreed to the revocation of bail and urged that his client be assigned to a federal prison facility near New Orleans, possibly in Pensacola, Fla. Lytle said the prosecutors had no objection. Ellis said he would continue the recommendation he made in his 2009 sentencing order, recommending that the Bureau of Prisons assign Jefferson to a minimum security facility near New Orleans"
Since I am a taxpayer and am tired of paying for useless program, I am suggesting a more "favorable sentencing for the taxpayers." After all, we continue to suffer by paying the bills after the usual sentencing. I suggest that Jefferson should be required to pay a fine of $22 million dollars, plus all court and federal prosecution costs, plus all monitoring costs while during a 10 years probation period and doing 5 years of public service all of which must be menial and not allow him to have public access to the elderly, children or elected or former elected officials. This sentence would save the taxpayers the cost of incarcerating Jefferson in a special prison with special treatment and protection as a former congressman. It would also help the taxpayers reclaim some of his congressional retirement which he draws for his 20 year in Congress where he leverage his position to get bribes. Oh well, we can dream of real justice for Mr. William Jefferson! 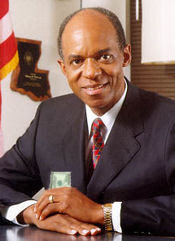 Tags: Democrat, corruption, guilty, Louisiana, Representative, sentencing, William Jefferson, prison To share or post to your site, click on "Post Link". Please mention / link to the ARRA News Service. Thanks! Tags: A.F. Branco, political cartoon, satire, Day for a Wok, To share or post to your site, click on "Post Link". Please mention / link to the ARRA News Service. Thanks! Congress is in recess until Monday, April 23. Yesterday the House passed (235-173) HR 9, The Small Business Tax Cut Act which would reduce the tax rate on small businesses from from 35% to 28%. he Senate did not advance any bills. After not adopting a budget resolution since April 29, 2009—1,087 days ago—the Senate's Democrat majority appeared set this week to at least hold a mark-up in the Budget Committee; that is, debate and amend the measure before voting whether or not to send it to the full Senate. At the last minute, however, the Senate's Democrat leadership and Budget Committee Chairman Kent Conrad cancelled the mark-up. Senators were instead only permitted to offer opening statements; no amendments were considered and no votes were cast. Although they were prevented from considering amendments, offering alternative proposals, or voting on any budget resolution, every Republican Senator on the Budget Committee attended this week’s committee meeting to urge the chamber’s Democrat majority to reverse its three-year position that no budget should be considered in the Senate. They were a more than a little irritated after the Democrats cancelled the markup of the budget after the Democrat Senators again basically proclaimed - "We Don't Need No Stinking Budgets." he democrats are repeating their mantra from 2010 of pushing for a continuing resolution to avoid going on the record for the public to see before the 2012 elections. It is save their butts time. Every Republican Senator attended the committee meeting to urge the chamber's Democrat leadership to abandon its resistance to taking up a budget plan. Below they joining together at the cancelled budget markup to demand that the Senate Majority allow votes on the budget. If you missed it, this week, Senate Republicans did something officially about the Unconstitutional Recess Appointments made by President Barack Obama. They retained former Assistant to the Solicitor General Miguel Estrada to file an amicus brief on behalf of Senate Republicans in a challenge (Noel Canning v. NLRB) to the constitutionality of President Obama’s so-called “recess” appointments to the National Labor Relations Board in January. The suit is being brought by Noel Canning, a local, family-owned business in Washington State that bottles and distributes soft drinks. The company is challenging the NLRB’s determination that it must enter into a collective bargaining agreement with a labor union. 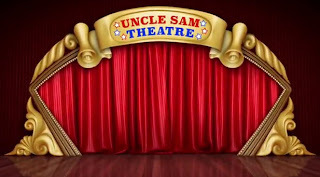 Tags: US Senate, Budget Committee, Senate Republicansd, budget, democrats, debt, deficit, taxes, government spending,Jeff Sessions, Chuck Grassley, Mike Enzi, Mike Crapo, John Cornyn, John Thune, Rob Portman, Pat Toomey, Kelly Ayotte, US House Small Business Tax Cut Act , HR 9, Barack Obama, unconstitutional recess appointments, Senate Republicans, Miguel Estrada, Amicus brief, SCOTUS To share or post to your site, click on "Post Link". Please mention / link to the ARRA News Service. Thanks! Gary Bauer, Contributing Author: I can't believe I'm writing about dogs, but for months now the Obama campaign has tried to pigeonhole Mitt Romney as a heartless, out-of-touch elitist. Part of its narrative has focused on how the Romney family once transported their Irish Setter, Seamus, on a family vacation to Canada (in a crate on the roof of the family car.) Oh the horror! But this isn't a joke. 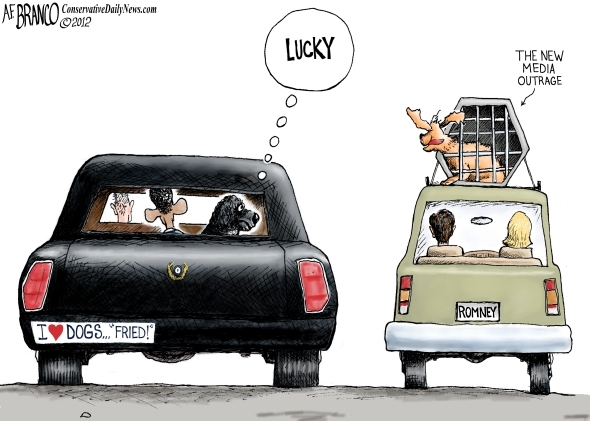 The Obama campaign is attempting to create a Romney "doggate" scandal. Liberals are making Seamus a constant talking point. In fact, one New York Times columnist has written about the dog more than 50 times! Lanny Davis, a well-respected Democrat insider, never misses an opportunity to inject the dog's treatment into an interview. There is even a website devoted to "Crategate" and a Facebook page with more than 50,000 fans. David Axelrod is tweeting pictures of dogs. Why? Because Americans love their dogs and Obama and his hacks are willing to politicize EVERYTHING. Well, now the news has broken that 30 years ago as a young boy growing up in Indonesia, Barack Obama, actually dined on dogs! I might be inclined to give the president a pass on this. After all, it's hard to hold him responsible for what he did as a child. But Democrats seriously think they can use the "Seamus scandal" to smear Romney and win votes. Fine. The gloves are off! At least the Romneys loved their dog so much that they didn't want to put Seamus in a kennel and built a special crate so they could take him with them on the family trip. 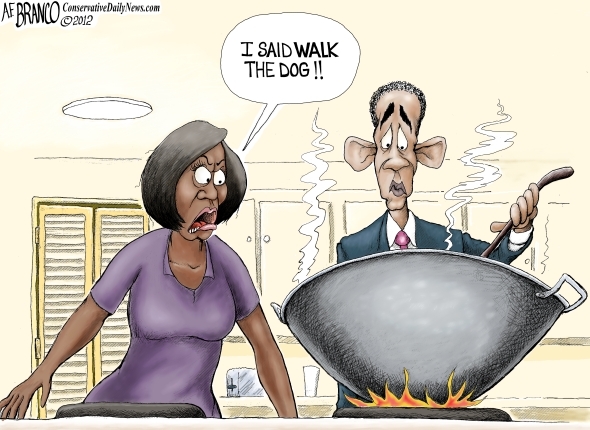 Now would you rather be the dog on Romney's roof or the dog on Obama's dinner plate? Instead of the bumper sticker, "Mitt is Mean," how about "Barack Bites"? Some bloggers have weighed in and suggested Obama eats "pup tarts" and loves "chicken poodle soup." Seriously, folks, this story is just one more example of the Obama campaign's attempt to distract you from far more serious issues like the economy, the debt, Obama's foreign policy disasters and his attack on religious liberty and our values. Tags: Gary Bauer, Campaign for Working Families, presidential campaigns, going to the dogs, Barack Obama, Mitt Romney To share or post to your site, click on "Post Link". Please mention / link to the ARRA News Service. Thanks! 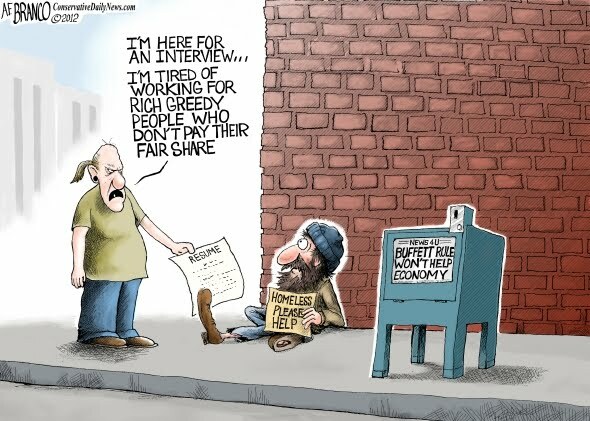 Tags: AF Branco, political cartoon, rich, jobs, homeless, satire To share or post to your site, click on "Post Link". Please mention / link to the ARRA News Service. Thanks! Tags: Ken Blackwell, Barack Obama, Secretive, Keystone XL Pipeline, Decision, EPA, Environmental Protection Agency, SCOTUS, Supreme Court, Sackett v. EPA, EPA’s war on the free market and economic prosperity, politics behind the EPA To share or post to your site, click on "Post Link". Please mention / link to the ARRA News Service. Thanks! H/T IJReview.com for the above article who like the ARRA News Service are advocates of the Right to Bear Arms, and also of safe gun use. Submitted to the ARRA News Service by a faithful reader: Ronald Mattison. Tags: Politically Incorrect, Gun Rules, Conservatives To share or post to your site, click on "Post Link". Please mention / link to the ARRA News Service. Thanks! Democrats Block Confirmation Of NRC Whistleblower - The Only Woman On NRC Commissioner? you report abuse of women. The Senate resumed consideration of the motion to proceed to S. 1925, the bill reauthorizing the Violence Against Women Act. But the Democrats are blocking the only woman from confirmation on the Nuclear Regulatory Commission - reason she couldn't tolerate compromising on the nation's nuclear safety. More below. This afternoon, he Senate will resume consideration of the postal reform bill, S. 1789. If a unanimous consent agreement on amendments to the bill is not reached, the Senate will immediately proceed to a cloture vote (to cut off debate) on the substitute amendment from Sens. Joe Lieberman (I-CT) and Susan Collins (R-ME). If cloture is not invoked, there will then be a cloture vote on the underlying bill. Yesterday, the House passed (293 - 127) H.R. 4348, an extension of Federal-aid highway, highway safety, motor carrier safety, transit, and other programs funded out of the Highway Trust Fund pending enactment of a multiyear law reauthorizing such programs, and for other purposes." The House also passed without objection H.R. 2453 which requires "The Secretary of the Treasury to mint coins in commemoration of Mark Twain." Yesterday, the AP wrote, “Last December, Kristine Svinicki and other members of the Nuclear Regulatory Commission told Congress that the NRC’s Democratic chairman was an intimidating bully whose actions could compromise the nation’s nuclear safety. The commissioners - two Democrats and two Republicans - said NRC Chairman Gregory Jaczko was responsible for an increasingly tense and unsettled work environment, and that women at the NRC felt particularly threatened. Svinicki, the only woman on the five-member panel, said she was so uncomfortable around Jaczko that she asked her chief of staff to ‘keep watch’ over a private meeting with the chairman in her office. This morning, Reuters reports, “President Barack Obama will renominate Republican Kristine Svinicki to the Nuclear Regulatory Commission, defying opposition from Senate Majority Leader Harry Reid, a White House official told Reuters on Thursday. 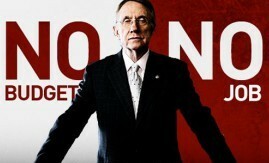 The important question now is whether Senate Democrats will swiftly confirm Svinicki since a Reuters report yesterday pointed out that Senate Majority Leader Harry Reid (D-NV) “is vehemently opposed to the idea” of Svinicki’s renomination. Democrats have spent a lot of time recently trying to falsely claim that they are the only party that supports women. Why, then, would they oppose the nomination of an accomplished and respected women who blew the whistle on intimidation of women at the Nuclear Regulatory Commission by the commission’s Democrat chairman, Gregory Jaczko? Tags: Washington, D.C., US Senate, Violence Against Women Act, confirmation, Harry Reid, blocking confirmation, Kristine Svinicki, US House, transportation funds, To share or post to your site, click on "Post Link". Please mention / link to the ARRA News Service. Thanks! Tags: drilling for oil, ANWAR, Alaska, 10 years ago, democrats blocked drilling, To share or post to your site, click on "Post Link". Please mention / link to the ARRA News Service. Thanks! WH Plan Is "Say Anything, But Do Nothing"
Yesterday, the Senate voted 74-22 to invoke cloture on the motion to proceed to S. 1789, the postal reform bill. Senate Majority Leader Harry Reid (D-NV) filled the amendment tree on the postal reform bill, thus blocking amendments, and filed for cloture (to cut off debate) on both the substitute amendment from Sens. Joe Lieberman (I-CT) and Susan Collins (R-ME) and on the underlying bill. If no unanimous consent agreement on amendments to the postal reform bill is reached, there will be a cloture vote on the bill tomorrow morning. The Senate resumed consideration of the motion to proceed to S. 1925, the bill reauthorizing the Violence Against Women Act. Yesterday, the House passed (274-146) H.R. 4089 to protect and enhance opportunities for recreational hunting, fishing and shooting, and for other purposes." Th environmentalist and anti-hunting crowd including the Center for Biological Diversity are upset. It was worth seeing this bill passed just to see these people upset. The bill allows hunters to bring back their polar-bear trophies from Canada. It stops the abusive the abusive environmental review of hunting and fishing by the EPA. And, it allows fishermen and hunters to continue to use lead based products like fishing weights and shot gun shells. This laws seeks to stop the abuse and overreach by government against hunters and fishermen. But it is questionable that the bill will make it through the Democrat Senate let alone be signed by an environmental activist president. But with this success, the bill will probably be reintroduced in 2012 and could pass if Republicans gain control of Congress and the Presidency. The House passed (410- 2) H.R. 1815 the "posthumously award a Congressional Gold Medal to Lena Horne in recognition of her achievements and contributions to American culture and the civil rights movement." Speaking on the Senate floor this morning,Leader McConnell highlighted what President Obama’s latest announcement focusing on show over substance reveals about his presidency: “With gas prices hovering around four dollars a gallon, I think it’s important for the American people to realize that there are two camps on this issue in Washington. There are those who want to do something about the problem, and there are those who just want people to think they’re doing something about the problem. And let’s be clear: President Obama is firmly planted in the say anything, but do-nothing camp. “If there were any doubt about that he dispelled it when he blocked the Keystone pipeline, and then again this week by embracing the age-old Democrat dodge of blaming gas prices on speculators. Look: what bothers Americans isn’t that the President has unpopular views on this issue. Everybody knows he’s doesn’t really support an all-of-the above approach to energy. What bothers people is the fact that he pretends like he does. What bothers people is the President blocking one half of a pipeline one day, then showing up at a ribbon-cutting for the other half on another. It’s blocking domestic energy, and then taking credit for increases that came about as a result of his predecessor’s decisions. It’s pretending that speculators have a big impact on the price of gas when his own staff can’t even point to any. Tags: Barack Obama, oil, gasoline prices US Senate, postal reform bill, Violence Against Women Act, Us House, hunters, fishermen To share or post to your site, click on "Post Link". Please mention / link to the ARRA News Service. Thanks! 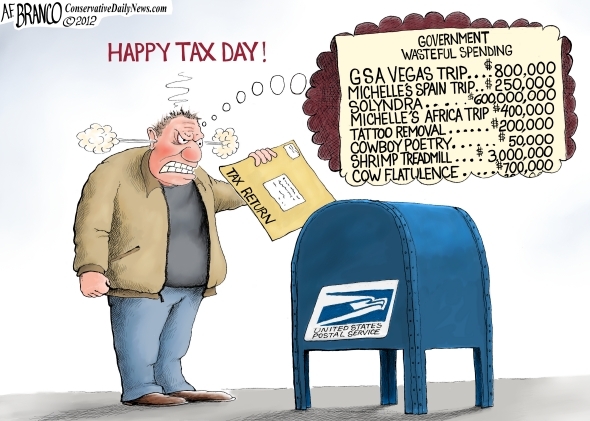 Tags: Happy Tax Tax, taxpayer, frustration, Government, Wasteful Spending, A.F. Branco, political cartoon To share or post to your site, click on "Post Link". Please mention / link to the ARRA News Service. Thanks! Tags: President Barack Obama, excuse, mortgage, hope, hypocrisy, election, 2012, 2008, 4 years, broken promise, failed, RNC Ad To share or post to your site, click on "Post Link". Please mention / link to the ARRA News Service. Thanks! Editor's note: Being a male, after watching this video a couple times I find myself with sympathy pains, Ouch! D--- Big Government Spending! Liberty.com: Funny Tax Day Video. Unfortunately the government's out of control spending is not too funny. Today in Washington, D.C. - April 17, 2011 - Final Day to File Your 2012 Taxes or To Request an Extension! Yesterday, Senate Democrats failed to get the 60 votes needed to move forward on their Buffett Tax bill, S. 2230. The vote was 51-45. The vote followed party lines with Democrats voting for an Republicans voting against except for two votes, Maine's Republican Sen. Susan Collins voted with Democrats to allow the measure to proceed and Arkansas Democratic Sen. Mark Pryor voted to block it. Also yesterday the Senate voted 91-3 to confirm Stephanie Thacker to be a judge for the Fourth Circuit Court of Appeals. This morning the Senate has already voted and passed 74-22 on a motion to proceed to S. 1789, the postal reform bill. Yesterday the House did convene in the afternoon but did not vote on any major bills. They did to vote (374-4) to award the a gold medal on behalf of Congress to Jack Nicklaus in recognition of his service to the Nation in promoting excellence and good sportsmanship in golf. Really important business. 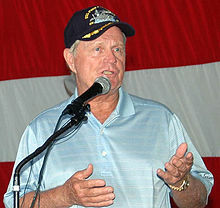 Just saying -- Military die in service of their country they get no Congressional medals -- Nicklaus lives a life of playing golf where he is required to show good sportsmanship and he gets a Congressional Medal. Looks like the Nicklaus' supporters were trying to get one award for "The Golden Bear" that will most likely never be broken by Tiger Woods. I like golf and I like Jack Nicklaus and his love of the sport, but these type awards evidences that reality in Congress often leaves something to be desired. Yesterday. The House Committee on Oversight and Government Reform conducted its the first hearing on incidents of wasteful spending by the General Services Administration including the "fun time - team building party" in Vegas. Jeff Neely, former regional commissioner of the Public Buildings Service took the 5th Amendment on every questions. the hearings continue today. Senate Republican Leader Mitch McConnell observed this morning, “[W]e hear that the President is announcing some kind of task force on oil speculation today. In other words, the same thing Washington Democrats always call for when gas prices go up. If I were to guess, I’d say today’s proposal by the President probably polls pretty well. But I guarantee you it won’t do a thing to lower the price of gas at the pump. It never has in the past. White House officials admit as much. Why it would it now? Interestingly, President Obama himself warned about this kind of political pledge-making just last month. In his weekly address, Obama said, “[A]ny career politician who promises some three-point plan for two-dollar gas – they’re not looking for a solution. They’re just looking for your vote.” Yet today the White House released a “Fact Sheet” detailing “The President’s Five-Part Plan” on oil markets. Tags: Washington, D.C. 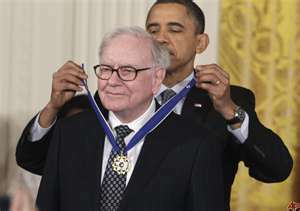 Us Senate, US, House Buffett Rule, Congressional Gold Medal, Barack Obama, Politics, ,Energy Announcement, Jack Nicklaus, Gold Medal To share or post to your site, click on "Post Link". Please mention / link to the ARRA News Service. Thanks! Today's Senate vote on the Buffett Rule is behind us. Tomorrow is the the final deadline for the mailing or electronic processing of tax returns or extension requests. Also, if paying estimated tax payments, your first payment is already due. So with the cheery thought that our money has already been spent by Big Government over spending and waste, let's refocus our attention to another morbid out-of-control government bureau: the Environmental Protection Agency (EPA). Lisa Jackson and her band of bureaucrats have been up to their old tricks, primarily focusing their energy on the systematic destruction of the coal industry and the jobs, affordable power, and economic revenue it provides. If greenhouse gases such as carbon dioxide "endanger public health and welfare" shouldn't the EPA do something about it? Should the agency work to actually reduce the danger? Isn't that the point of regulation—to reduce some of the alleged harm? But the EPA isn't reducing any danger here because according to the agency (here on Page 49), "This proposed rule also will not have a direct impact on U.S. emissions of greenhouse gases under expected economic conditions." We really can’t make this stuff up! Obviously, more will follow on this out of control department which has become the equivalent of energy blackshirts carrying out the progressive agenda. If you agree, grab the following image - By an EPA endangerment finding, you are already a polluter. Tags: EPA, Environmental protection Agency, Lisa Jackson, bureaucrats old tricks, systematic destruction, coal industry, jobs, affordable power, economic revenue, CO2, polluter To share or post to your site, click on "Post Link". Please mention / link to the ARRA News Service. Thanks! What Happens In Vegas And Columbia . . . Tags: Obama administration, GSA, Vegas, wasting money, GSA party, Secret Service, Columbia, hookers, Barack Obama, Columbia, Vacation Scout for Michelle To share or post to your site, click on "Post Link". Please mention / link to the ARRA News Service. Thanks! Tags: Washington, D.C., U.S. Senate, media, news, Buffett Rule, gimmick To share or post to your site, click on "Post Link". Please mention / link to the ARRA News Service. Thanks! Alison Meyer, Heritage Investigate: Americans who are scrambling to pay their taxes by Tuesday’s deadline are in store for more depressing news: The tax burden on American families has risen dramatically and will continue to climb into the future without action from Congress. 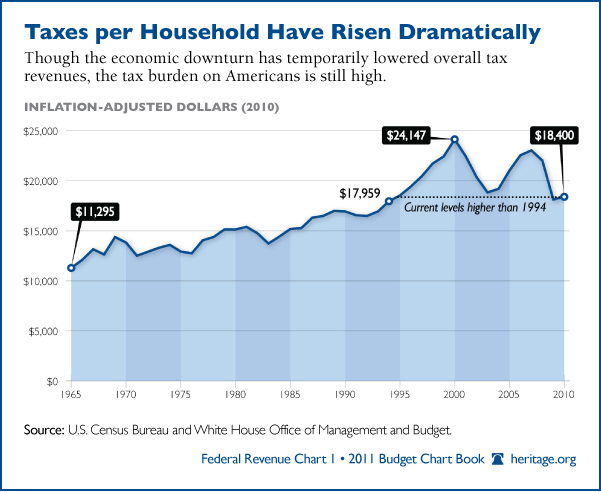 This week’s chart outlines the growth of taxes over the past 45 years. Although these tax increases will not start raising new revenue until next year, they are having a negative impact on the economy today. Families, businesses, and investors need to know how much tax they will pay in the future before making important economic decisions. The uncertainty caused by Taxmageddon means they are stuck in neutral while they wait for President Obama and Congress to act. 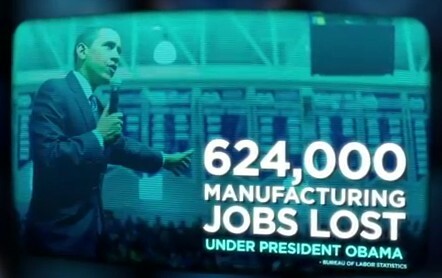 This is slowing job creation and stopping many of the millions of unemployed Americans from going back to work. To relieve Americans from the large tax burden, Obama and Congress should remove the threat of Taxmageddon now. “That would assure families, businesses, and investors that their taxes will not rise sharply as the economy is still staggering to its feet and show the voters that Washington really can get important things done—even in an election year,” Dubay wrote. Americans are already paying significantly more than they did in 1965, when Great Society programs like Medicare and Medicaid were created. Without action, this historical trend is likely to continue. Tags: Chart of the Week, Great Society, medicaid, medicare, Obamacare, tax increases, tax revenue, taxes, taxmageddon, Heritage Investigates To share or post to your site, click on "Post Link". Please mention / link to the ARRA News Service. Thanks! Who Can Be A Failure . . . And Still Get A Pay Raise? The Government Can! Tim Hawkins wrote the lyrics (listed after the videos) and performed them used them with the music from "The Candy Man" (aka - "The Candy Man Can"). "The Candy Man" originally appeared in the 1971 film Willy Wonka and the Chocolate Factory. It was written by Leslie Bricusse and Anthony Newley specifically for the film. Tim Hawkins a former grocery truck driver and native of St. Louis has a way of reaching us with humor and reality. He originally developed and performed this parody about the Government over three ago and it seems like everyday, the truth, i.e. "reality," is even more evident today. Yes, we ran this video almost three years ago. And, we are doing it again in an expanded version. Let's smile for a minute. Below are two versions. The first is a live show version which shows Hawkins interaction with audience in Tennessee and the second is his professional released YouTube version which has over 5 million visits. To pay for all of their "sollutions"
We'll give ourselves a raise! Tags: The Government Can, Tim Hawkins, (Insanitized DVD), comedy, Candy Man, government, taxes, healthcare, music, lyrics, video To share or post to your site, click on "Post Link". Please mention / link to the ARRA News Service. Thanks!